Synergy Open 93 draws its inspiration from nature and its elements: the result is a collection of stylistically simple objects with a highly distinctive design, naturally combining aesthetics and functionality. 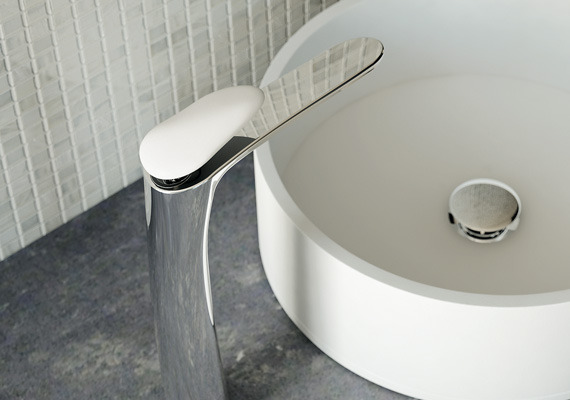 Fluid and sinuous lines transform into smooth surfaces that are pleasing to the touch. 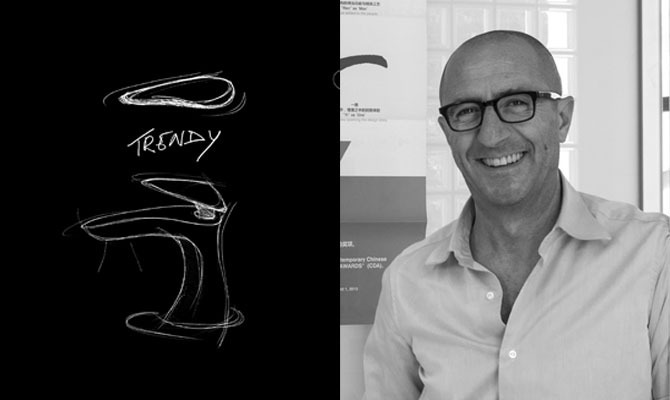 Synergy Open 93 creates a "trendy" mood, a tap collection designed for the young and vivacious, focusing on fashion and furnishing trends, as well as the practical and tangible aspects. 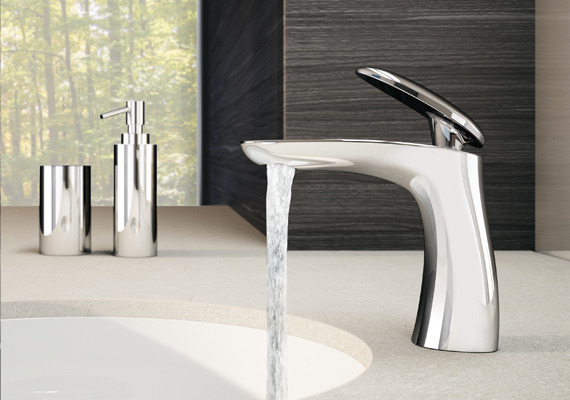 The Synergy Open 93 items are characterized by their short and compact lever, which compliments the body of the tap. The Open lever, available in chrome and DuPont™ Corian®, is the protagonist of the tap, rendering it especially practical and functional. 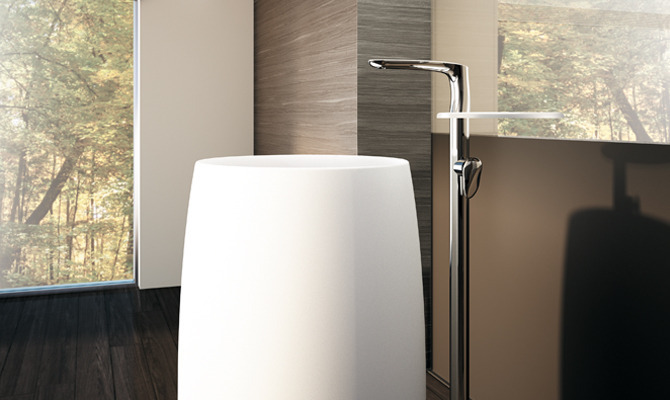 The range of items in the Synergy Open 93 collection also includes floor-mounted solutions: the basin and bath mixers are available in various freestanding versions, complete with a shelf made of DuPont™ Corian® that is coordinated with the handle.